If you are lounge / world music lover from India, you must be aware about the music label called Vale Music. They have been in the market since quite sometime. I had bought few CDs from this label earlier, they generally have very good collection of lounge songs, but what they do is kind of shady, they rename the songs and change the artist names and make a complication album out of it. Take example of this album called Vale’s Nirvana Lounge. If you see the track list there, 3rd song, Punjabi Secrets is actually Punjab by Karunesh, even 4th track, Solid Tune is actually the song Solitude by Karunesh. These are just 2 examples, most of the tracks in their albums are copied like this. Today, while checking some lounge music at Crossword, I found 2 albums pretty cool. First thing I do before buying the album is, I check the packaging date. Since most of the music labels sell old albums so I simply ignore those CDs. The shocking part was after opening the CDs. 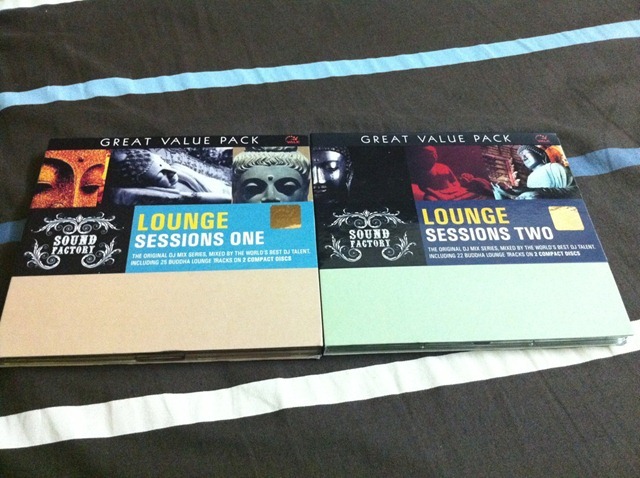 The 2 CD set of Session One had 2 different CDs with labels Lounge Bar II and Vale’s Nirvana Lounge 2. Okay, this was a shocker, the 2nd shock was when I heard the songs, the recording of the song was of sub-standard. I felt like I was listening to 128kbps quality songs. Very badly recorded. I decided to Google around a bit to find the release dates of the actual albums. Lounge Bar II was released in 2006 and Vale’s Nirvana Lounge Vol 2 was released in 2003. This is case of open cheating, where music label sells you their old albums with just new packaging. Can you believe, they were selling 4-7 year old albums in 2010 combined with a new packaging and new album name. So, this was about the Session One. I opened Session Two expecting some recent albums in it. But these buggers packaged older albums in it. 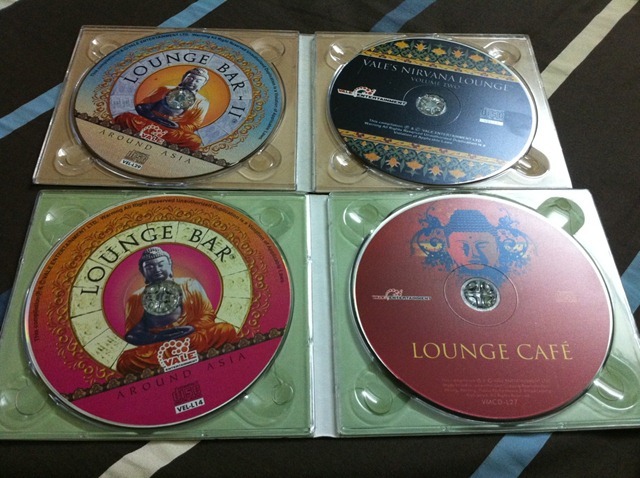 The 2 CDs were Lounge Bar (2004) and Lounge Cafe (2006). Again same problem with the sound quality. So, moral of the story is, they packed their old stock in new box and sold it to me. In other word, it’s clear case of cheating. Yeah, I know, legally I cannot do anything (and I don’t wish to also) but ethically, it surely is a cheating. How can a person sell old stuff claiming it’s new? But after this incident, I have decided one thing, I am never going to go near this music label and will try to stay away from other Indian labels (who are into Lounge music). Disgusting experience. If the names of the albums inside are not mentioned on the outer packaging, you can go back to the store & ask for a refund or replacement. Maybe wrong CDs were packed by mistake. I once got a DVD of A Few Good Men in the case of Crouching Tiger Hidden Dragon. I just went back to the Planet M store I got it from & they changed it with another which I checked there itself & it had the correct DVD. So perhaps its similar case here as well, unless you’ve already checked it out. But I still think if its not mentioned on the outer pack you should still be able to get a refund from the store. Yes, I am going to return it tomorrow, let’s see how it goes. It’s not case of mistake, it’s just supposed to be like this, no albums mentioned but the tracks mentioned match with the album labels inside the box. Ah, in that case I doubt the store will refund money since you got the tracks which are mentioned on the box! But still, keep your fingers crossed & try get your money back! Yes, I got the tracks but, they sold me 2003 album with the 2010 packaging. If they were selling old album, then music label should mention that it’s an old album but re-packaged or complication of old albums. No, I think the packaging doesn’t mean the date of album release but the date of the packaging. Like I’ve bought some collections of Pt.Shiv Kumar Sharma, Hari Prasad Chaurasia etc. & the albums are old but the packaging had newer dates because that was when that was when that collection was packaged. I bought a DVD box set of all Godfather movies & there also the packaging date was new to reflect the date when the box set was packaged. Yes, but those songs have clear mention about the oldies. But in this case, there is no mention. Utter Rubbish!!!! Have a heard lot about this news but its not Genuine coz i m a regular buyer of Vale music from many years. If you have read the whole article it is mentioned “but they still managed to make a good compilation” so its false. Where as they have very good music of not only for Lounge but Trance and Tribal. They are the “badshah’s” of Karaoke. You have what you paid for. You claim you dont care about copyright issues much and then complain about titles, quality and release dates????? I said, I did not bother about it as it’s their headache, as a customer, I need to get what I have paid for.. in this case, I did not. On 5 March I purchased Talat Mahmood Karaoke CD from the famous Rythm House, Mumbai. I wanted to check the CD but they did not permit. In due course I found that out of 14 tracks only 11 are Talat songs. Remaining 3 are Hemant Kumar, Mehandi Hasan and Moammad Rafi each.The contact nos. indicated on the cover of the CD are of no use. I am planning to lodge the complaint in the Consumer Forum. Their Buddha trance cd includes the original tracks by Angel tears first album Way of the mystic with another names. Karan, their website does not work anymore. The domain information says, it’s owned by someone in Heera Panna itself. I think the better approach would be to contact the original artists / their music labels and they will take care of the rest. For non-musicians they will just go crazy as they may never be able to sing on it and for singers you have already taken crores from them. You people should be hanged for having the courage of releasing such bad quality of work.